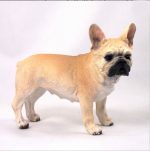 Our standard French Bulldog is brindle in color with the exception of one horizontal white patch located below the mouth. From the rear to the midsection/neck of the figure you will notice the dog becomes broad. 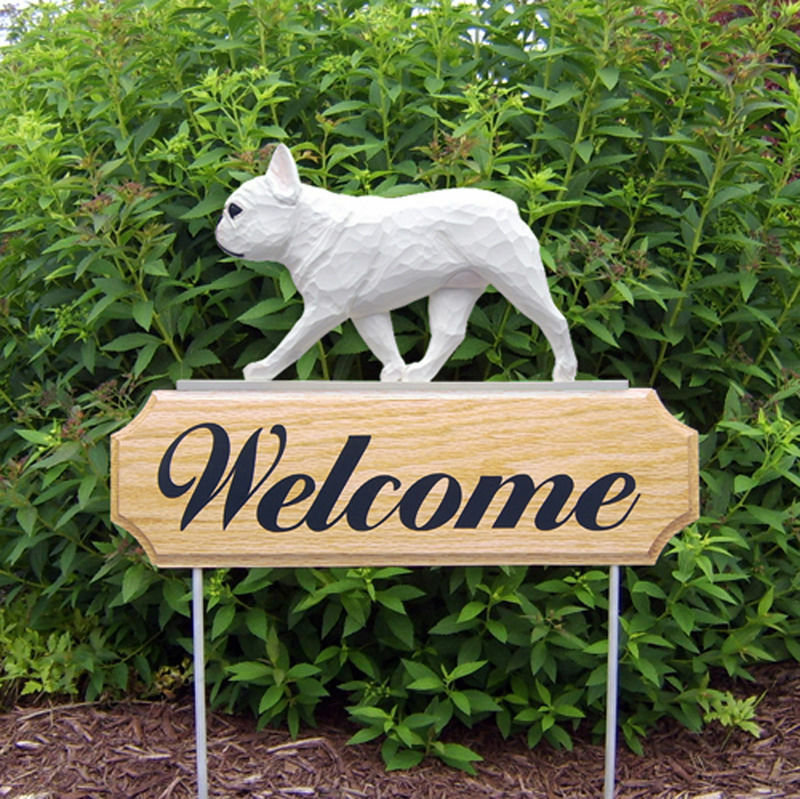 This is a well known trait for the French Bulldog breed. It gives the dog a proper center of gravity and balance. The tail is short and ears are standing in a wide manner. The eyes and nose are black. 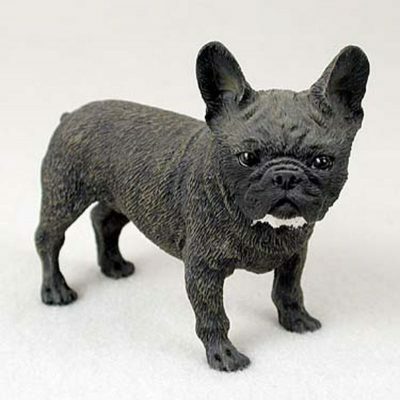 The stout is short and against the face. 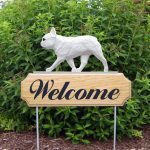 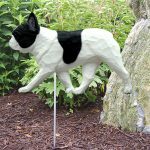 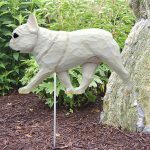 We also offer the French Bulldog in a cream/fawn color that can be found at the following link: French Bulldog Cream/Fawn.